This is a tidy and well organised narrowboat, with lots of home comforts. The boat is light and airy, and has a lovely wooden floor running throughout. She also has some great features making her pretty diverse, I could see her being used as a live aboard or a comfortable cruiser with ease as she has been used on tidal Thames and in the Severn Estuary. She boasts a good size galley with full sized cooker, LED lighting throughout, invertor and a lovely stove that I would have thought is more than big enough to heat the entire boat although I have not tested this. I think I would change/ update the Porta Potti in the heads, and maybe the mattress which is a standard Ikea mattress, but other than that from what I have seen she looks pretty good to go. The Mooring is also available if required. 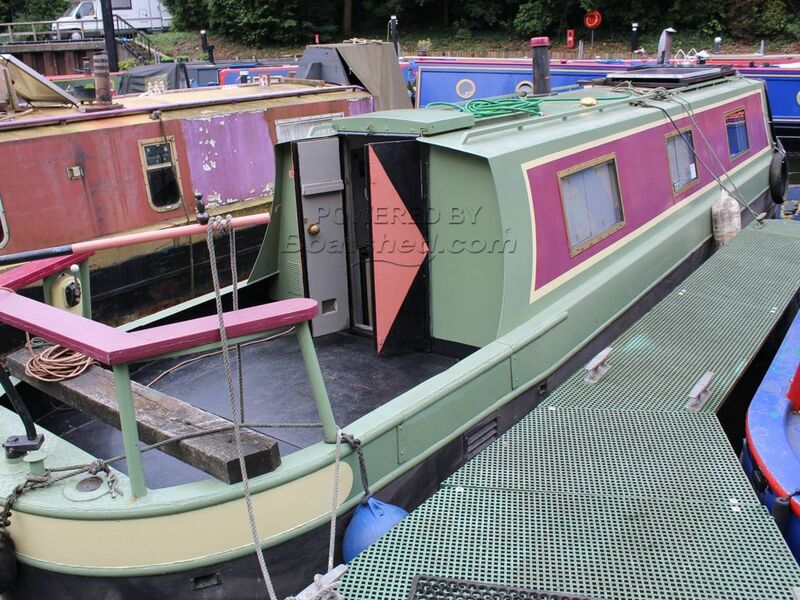 This Narrowboat 39ft Cruiser Stern has been personally photographed and viewed by Oliver Yates of Boatshed Bristol. Click here for contact details.